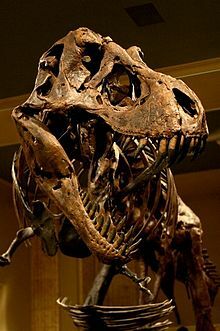 Take part in Dinosaur Day! We're celebrating the 25th anniversary of the release of Jurassic Park along with the brand new release of Jurassic Park: Fallen Kingdom. Nick Wiersum from the Dinosaur Discovery Museum in Kenosha will have materials from the museum's collection and will tell us the real story about dinosaurs featured in the films. Don't forget to join us at noon when we'll be showing the original movie.